“I’m gonna need to shoot that guy at some point,” Ahhh, Mondays. Book 4 of The Expanse series has Holden and the Rocinante crew sent to a new solar system as UN Negotiators. Displaced Belters have taken up residence on a newly discovered planet through one of the Stargates (they'll always be Stargates to me), only to have an RCE research vessel arrive, necessitating Holden and Amos to smooth things out. They get along as well as you'd expect, but their conflict is the least of their problems. 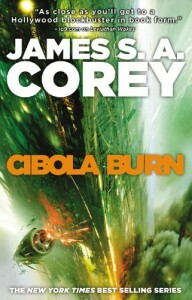 Cibola Burn thoroughly impressed me. At a stage in the series where the quality would usually take a nosedive, James SA Corey has managed to keep it onwards and upwards. Part of this is giving us a great villain in Murtry; someone who is the antagonist but not necessarily the bad guy. 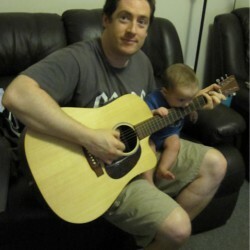 The other part is that Corey's plots are much more extensive than you initially expect. I've seen other reviewers complain about this aspect, in that the story starts off headed in one direction but ends up going somewhere else entirely. But I see this as a strength and a justification for a novel that cracks 600 pages. I enjoyed Cibola Burn more than Abaddon's Gate - although it was still a great read - and there are no signs that this series will rest on its laurels. I started the next instalment, Nemesis Games, immediately after finishing Cibola Burn: that should tell you everything you need to know.